Add Capacity is a startup for lawyers. It aims to reduce the time and cost of routine administrative work so they can focus on providing excellent advice and client service. While the virtual legal service has proven useful for small and solo practitioners who do not have the resources to employ full-time employees, founder and CEO of Add Capacity Robin Carter was ready to grow his audience. The business had previously relied on traditional sales methods to generate revenue, but because the concept was new to a slow-changing industry, it meant a long sale cycle. Robin met Business Connect Digital Specialist Bhawani Singh and together they identified that building trust within the target market was the most significant hurdle they needed to overcome. Bhawani helped Robin focus on educating the target market, nurturing potential leads over a period of time and creating opportunities to engage prospects through a digital platform. Bhawani helped Robin develop lead channels by creating a highly functional website to attract visitors; providing engaging content; converting enquiries into leads; using Facebook, Google AdWords and remarketing campaigns. Robin was able to use tools to automate, monitor and review the performance of digital channels including email marketing, Google analytics and web analytics. As a result, Add Capacity has connected with more target clients and started working with more solicitors. Robin has a better understanding of how to use digital engagement as a means to grow the business. 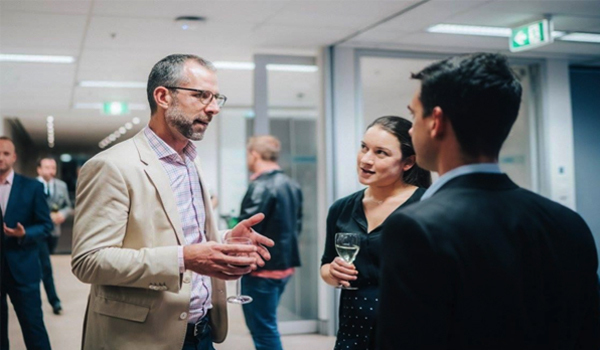 ‘It’s challenging as a startup to do everything, but the knowledge and skills I have gained from the Business Connect program have been instrumental, and amazing value for money,’ Robin said.